"Obsessed by a fairy tale, we spend our lives searching for a magic door and a lost kingdom of peace." 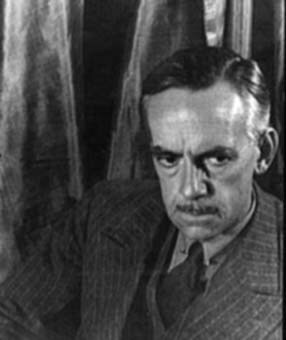 Eugene O’Neill was one of the greatest playwrights in American history. Through his experimental and emotionally probing dramas, he addressed the difficulties of human society with a deep psychological complexity. O’Neill’s disdain for the commercial realities of the theater world he was born into led him to produce works of importance and integrity. 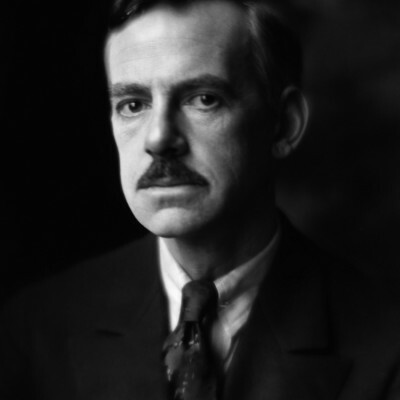 Born in a hotel on Broadway in 1888, Eugene O’Neill was the son of Ella Quinlan and the actor James O’Neill. Eugene spent the first seven years of his life touring with his father’s theater company. These years introduced O’Neill to the world of theater and the difficulties of maintaining artistic integrity. His father, once a well-known Shakespearean, had taken a role in a lesser play for its sizable salary. O’Neill spent the next seven years receiving a strict Catholic education before attending a private secular school in Connecticut. Though a bright student, he was already caught up in a world of alcohol and prostitutes by the time he entered college. He eventually dropped out before finishing his first year at Princeton University. Though he would later enroll in a short class in playwriting at Harvard, this was the end of his formal education. After leaving Princeton, O’Neill moved to New York, where he spent most of his time drinking and carousing with his older brother. In 1910 he fell in love with and married the first of three wives, Kathleen Jenkins. Soon after, however, O’Neill left his wife for the adventures of traveling. In Honduras he contracted Malaria, and returned to find Kathleen pregnant with his child. Without seeing the boy (Eugene O’Neill, Jr.), O’Neill shipped out again, this time for Buenos Aires, and later for England. In 1912, Kathleen filed for divorce and soon after, plagued by illness, O’Neill returned to his parents’ home. It was there among the turmoil of a despondent father and a morphine-addicted mother that he decided to become a playwright. O’Neill spent the next five years working primarily on one-act plays. In 1918 he married Agnes Boulton, and with her had two children, Shane and Oona. He continued to publish and produce his one-acts, but it was not until his play “Beyond the Horizon” (1920), that American audiences responded to his genius. The play won the first of three Pulitzer Prizes for O’Neill. Many saw in this early work a first step toward a more serious American theater. O’Neill’s poetic dialogue and insightful views into the lives of the characters held his work apart from the less sober playwriting of the day. Following the success of “Beyond the Horizon”, O’Neill went into an incredibly productive period, writing many of his greatest plays. “The Emperor Jones” (1920) and “The Hairy Ape” (1922) follow the lives of two men through personal struggles and their search for identity. Received well, these two established O’Neill as a master of the craft. The times, however, were fraught with turmoil—seeing the death of O’Neill’s father, mother, and brother, as well as the break-up of his marriage. O’Neill’s final years were spent estranged from much of the literary community and his family. Though he was awarded the Nobel Prize in 1936, most of his later works were not produced until after his death. His failing health did not prevent him, however, from writing two of the greatest works the American stage has ever seen. Both “The Iceman Cometh”, a story of personal desperation in the lives a handful of barflys, and “Long Day’s Journey into Night,” a view into the difficult family life of his early years, were profound insights into many of the darker questions of human existence. Produced posthumously, these were to be his two greatest achievements. By the time of his death in 1953, O’Neill was considered one of the twentieth century’s greatest writers.